Dawn Heller knows how lost people feel when they don't have their smartphone for days on end while it is being repaired. The Pennsylvania native has more than 15 years of experience spanning technology, media, sales and operations industries. She owns two locally-based companies and spent nearly a decade advising organizations on technical and creative solutions. 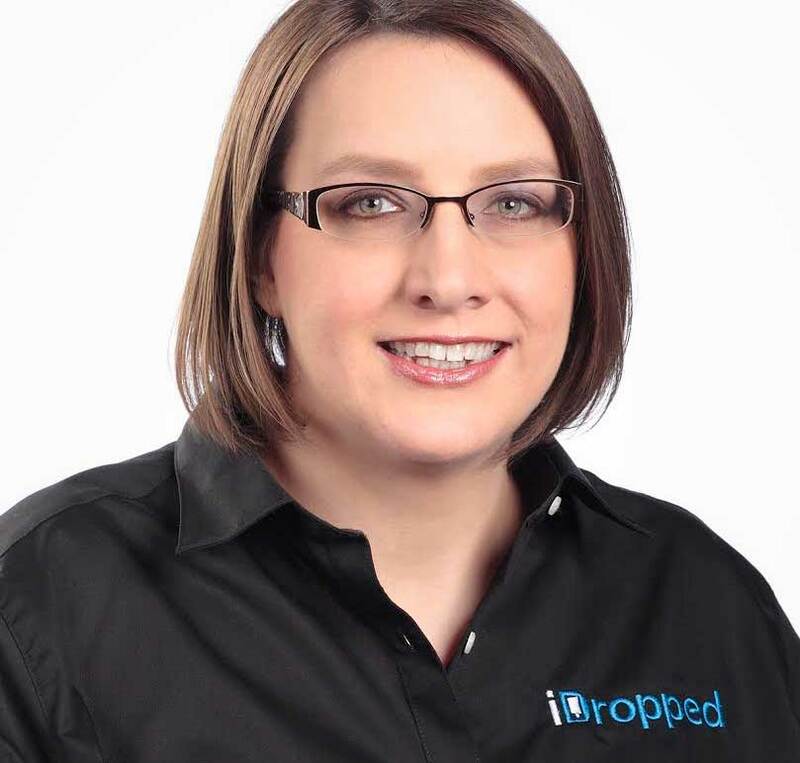 Heller was drawn to the iDropped brand because of this technology and business expertise and opened her store in November of 2014.
iDropped, founded in 2012 and currently seeking franchise partners across the U.S., provides fast, on-site repair for the most popular brands of mobile devices, with a specialization in Apple products and the Samsung Galaxy phone series. Unlike many wireless retailers that require customers to go days without their phones while being repaired, iDropped strives to mend phones in an hour and other electronic devices within 24 hours. Each device goes through a rigorous pre- and post-repair checkpoint to ensure complete functionality before it is returned to the customer. iDropped uses the highest-quality parts and supplies and supports each repair with a one-year warranty. Below, Heller describes why she left behind a salaried job for the more challenging work of being a franchisee. Franchise owned: iDropped franchise in Edwardsville, P.A. Just over a year. I opened my iDropped franchise in November of 2014. I chose franchising because being a franchise owner is similar to owning a small business. It's for people who want more -- more freedom, more money and more market share. After deciding franchising was the right path for me, I was determined to partner with a knowledgeable and trustworthy franchisor. I didn’t want to waste my time or money in the wrong market at the wrong location. For me, the executives at iDropped were tremendously helpful and have made a huge difference in the success of my business. I would not have had that support as an individual business owner. Before I became a franchise owner, I spent more than 15 years in a wide variety of technological positions, which definitely helped in running iDropped. I honed a lot of soft skills throughout my career, such as the ability to calm people down, communicate technical information in layman's terms, market my business, manage employees and more. I also always approached my previous roles as an entrepreneur, acting like I owned the job. I operated as if my employer's business was my own, and in the end found out that the best option for people like me is, in fact to own our own businesses. In the spring of 2012, I had a broken tablet that needed to be fixed. After reading that iDropped was set to open soon in a local mall, I had to be part of it. I could really see iDropped carving a niche as a trustworthy mobile device repair brand within the industry. By December of that year, I quit my corporate job and opened my first iDropped location in Nanticoke, PA.
As the first franchisee to sign, my initial fee and build-out was $45,000. I opened with $10,000 in inventory and grew that to $25,000 shortly after. I spent less than $10,000 in marketing to open. I choose to take a lot of advice from my mentors. Mentorship has made all the difference for me. Until I was out on my own, I didn't realize how many women were running the show. Many of these women went the extra mile to reach out to me and take me under their wings. In the beginning I questioned the price point of my services, but they helped me realize I was providing a fast, high-quality and trustworthy service that warranted higher fees than fly-by-knight repair companies. Our vice president Tim Katsch also does a great job of keeping me informed about industry trends and best practices. Just as I was hitting my stride and began hiring staff, the industry experienced an unprecedented raw materials shortage, driving up the cost of goods sold. Because of this, we were forced to raise prices, which reduced sales and margins. The situation stressed everyone in the business. While other shops ran out of parts, iDropped’s supplier secured access to high-quality parts. Ultimately, this situation neutralized a few competitors. They opted to get out of this business and go in a different direction, which only made iDropped stronger. Transitioning from the technology field to owner and learning to let go was also a challenge. Finding the right people to hire and train is probably one of the biggest pain points for any business. It took most of the year, but now I am able to leave the business in the capable hands of my employees and get some balance in my life. Because of my sales and staff, I am able to focus more on my overall health by hiring a trainer and taking alternative fitness classes like aerial silks. Think big. If you're completely happy playing small and asking other people for more money every year or so, owning a franchise isn't right for you. Instead, stick with a salary. It’s also important to remember that you are responsible for creating your own happiness. If you're unhappy about what you're doing or how something is working out, stop tolerating it and make a move. Set the change into motion. Don't wait for someone else to fix it for you --because that is not likely to happen. In just one year, we have significantly exceeded our two-year sales goal, so I see continued success in the growth of the business. Diversity is also a major focus for us. Not only are we offering new technical services, including PC and glass-only repairs, but we are truly embracing the women in tech movement. Two-thirds of our staff is women, one of whom is transgender.